Solar Canopies provide shading to a parking area while creating clean energy. From the unutilized top level of a parking garage, to the flat parking area next to your office building, Cole can help you create a secondary benefit from an existing structure. Our custom designs provide unique solutions over parking areas or other under utilized space. 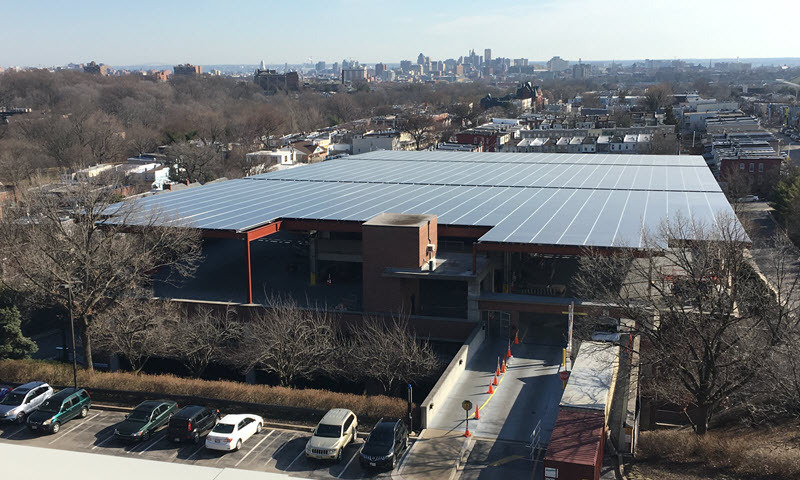 Investing in Solar Canopies will provide long lasting returns in the form of reduced electricity costs, covered parking for employees or customers, and tax incentives. This can make the decision an immediate win for an organization looking to maximize returns related to the use of their parking areas.